The Commonwealth of Independent States (CIS) is a regional organization whose participating countries are former Soviet Republics, it was formed on December, 8 1991 on the basis of the "Agreement between the Republic of Belarus, the Russian Federation (RSFSR) and Ukraine on the creation of the CIS" (Belavezha Accords). The agreement was signed by the leaders of three Soviet republics as state founders of USSR who signed the Union Treaty in 1922 (for the Republic of Belarus - S. Shushkevich and V. Kebich, for RSFSR - B. Yeltsin and G. Burbulis, for Ukraine - L. Kravchuk and B. Fokin). The Agreement was ratified on December, 12 1991by the decision of the Supreme Soviet of the RSFSR, which appealed to all States of the former Soviet Union, regardless of their national, religious and other differences, who share the ideas of the Agreement, to join the CIS for mutually beneficial cooperation in the interests of all peoples. On December, 21 1991, on the basis of the Alma-Ata Protocol on the purposes and principles of the CIS, the leaders of eight additional former Soviet Republics joined the CIS and thus bringing the number of participating countries to 12: Russia, Ukraine, Uzbekistan, the Republic of Kazakhstan, the Republic of Belarus, the Republic of Azerbaijan, the Republic of Georgia, the Republic of Tajikistan, the Kyrgyz Republic, The Republic of Armenia, Republic of Moldova and Turkmenistan. 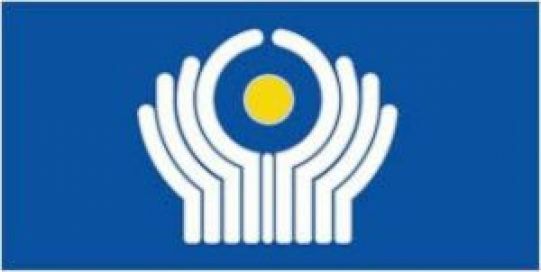 The possibility of associated membership for the countries wishing to participate only in certain activities of the CIS is provided. 86 years ago in the place Kozhebay (Aktyubinsk area) retaliatory groups of Red Army inflicted a crushing defeat over the Kazakh national militia (in historical documents this revolt is named precisely «Sarbazdar koterilisi»). 12 principals of revolt were sentenced to death, 13 people are exiled and more than 163 were attracted in different penalties. Today the National engineering academy is the largest and influential public scientific organization in Kazakhstan. More than 20 research and production centers work in its composition, it takes the active part in creation and development of science and technology parks in all Kazakhstan, its separations and branches tightly cooperate with manufacturing enterprises in regions. Among scientific centers of academy there are organizations such as Scientific and engineering computer center, Research Center «Neft», Institute of the modern technologies, Institute of environmental assessment and others. They successfully passed the international certification which is carried out by the Ministry of Education and Science of Kazakhstan together with Academy of Sciences of the USA.